ATI Testing is an assessment tool that nursing programs use to identify the strengths as weaknesses of their students so that they can eventually take the NCLEX examinations. The NCLEX examinations are important to nurses because if they meet success of these examinations, they receive their licenses to become nurses. The ATI Nursing Exam is one of the ways that nursing students and nursing professionals are preparing themselves for the NCLEX examinations. ATI offers a variety of tools to help nursing students and nurses meet success. Two ATI testing tools nursing schools use are the ATI TEAS V Entrance Exam & ATI review modules, known as the Comprehensive Assessment and Review Program (CARP). The information obtained from ATI testing helps the members of the nursing faculty evaluate their current curriculum so that they can make improvements if necessary. Nursing school and nursing careers are full of wonderful opportunities to learn new information that is related to nursing. Before nurses and nursing students can experience what it is like to help patients, they must first get into nursing school and graduate. These days, nursing school can be very difficult to get into for many students, and for many, the dream is made true by using a variety of helpful tools to help nursing students get in and out of nursing school so that they can begin their careers as nursing professionals. This article will provide a comprehensive overview of the ATI testing process. You may also be interested in reading other articles about the ATI Nursing Test. What Is ATI Testing in Nursing School? ATI Testing is an assessment tool that nursing programs use to identify the strengths as weaknesses of their students so that they can eventually take the NCLEX examinations. Nursing programs use the tools provided to offer feedback to their nursing students throughout their nursing education. 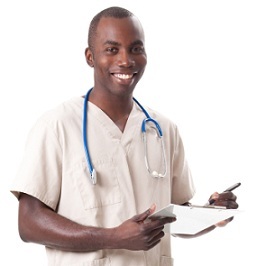 Some nursing programs use ATI Testing as a required test to get into the programs. Students may also have to participate in the testing at various points during their nursing school education. Many programs require that students test in the middle or at the end of their nursing program. ATI provides a variety of assessment tools that can help nursing students improve their deficit areas. Nursing school advisors can use the results of these various assessments to correct deficit areas and create remediation plans for those students in need. The tools are conveniently located online so that nursing students and nurses can access the tools at their convenience. Results of the ATI testing provide nursing programs with a clear indicator of how well students will do on the NCLEX examinations to become nurses. ATI makes sure that nursing students get what they need on their journey to graduate from nursing programs and become nurses. Students who do not meet a minimum score on ATI Testing will have to participate in remediation. In some cases, students may have to achieve a score equal to or greater than the national average. What is the ATI TEAS-V Exam? The ATI TEAS-V (Test of Essential Academic Skills) is a test used by nursing schools to determine student success in nursing school. Teachers and nursing students can use this tool to their advantage. The TEAS-V helps students determine if they are prepared for the next level of nursing school. The faculty can use the information obtained from this test to prepare their remediation courses. They can also point students with identified deficits in the direction to find additional ATI tools to help them improve. The TEAS-V has 4 weighted areas in which a composite score is derived. The test goes a little further to help students and professors identify specific areas of need. The TEAS-V identifies and provides scores for 13 additional areas by assessing the comprehension of specific nursing school content. Professors can also quickly identify the students with the most potential in the field of nursing. Students have a maximum time allotment of 209 minutes to take the TEAS-V. The format of the test is multiple-choice questions. There are a total of 170 questions on this test. Students will have their test scores within 48 hours of test completion. ATI offers a variety of tools to help nursing students improve in their deficit areas. The TEAS-V provides an opportunity for nursing students to gain access to materials and strategies that will help them develop their nursing skills. ATI offer study materials to help nursing students study for the TEAS-V exam. They offer study guides that students can only purchase from ATI. There are two versions of the study guide so it is important that students receive the TEAS-V instead of the TEAS version of the manual. There is also information available online to help nursing students study for the test. TEAS-V has two options: Form A and Form B. Each version offers in depth assistance for test takers. The guides contain 150 questions and answers with rational for each answer. Combining the online assessment tools and the study guides will provide an exceptional level of assistance to help nursing students pass the TEAS-V examination. Nursing students may also be able to make or purchase flashcards to help them to study for the TEAS-V exam. Using flashcards is a great way to remember important facts and information used in nursing school and nursing practice. Flashcards may be available for downloading online. Students may also prepare for the exam by studying specific content for the TEAS-V exam. Specific content areas such as science, math, and reading play a very important role in the TEAS-V exam. Test takers must know specific content in each of these areas such as proper grammar, algebra, basic math, reading comprehension, and decimal functions. Reviewing these content areas in depth before taking the test provides the best opportunity for test success. What is the ATI’s Comprehensive Assessment and Review Program (CARP)? ATI offers a wide variety of assessment materials that help nursing students gain comprehensive nursing knowledge while gaining critical thinking skills in the process. The Comprehensive Assessment and Review Program (CARP) is one of those assessment tools that nursing students can use while they are in nursing school. Students can use this focused remediation tool throughout their nursing programs. The CARP is more than a remediation tool; it is a comprehensive solution to learning nursing material. Every aspect of the CARP helps nursing students prepare for the NCLEX examinations that they must take to become licensed nurses. The assessment and review program offered by ATI has tools to help students with diverse learning styles understand nursing content. The CARP offers practice assessment, reading material, Internet sources, and videos to stimulate students’ learning. Students also receive support from the ATI support team throughout the program. The CARP saves nursing students and faculty a great deal of time because the program can identify potential problems well before they affect students’ success in nursing programs. CARP identifies the need for early interventions when students need it. One of the many wonderful features about the CARP is that it contains a program called the Content Master Series that can help student master concepts related to specific content found on the NCLEX. Subject areas include: Maternal-Newborn, Fundamentals, Adult Medical Surgical, Nursing Care of Children, Pharmacology, and Focused Adult Medical Surgery. Students can participate using the DVD series, online practice assessment tools, and review modules. Nursing students receive materials online and in print formation to help them prepare for the NCLEX. The specific remediation that ATI offers includes ATI Reporting and Comprehensive Predictor Assessment. The types of reports that help to gauge student preparedness include question analysis, group report, longitudinal report, grade book, individual transcript, critical thinking and analysis report, and customized reports. How Do Nursing Schools Use the ATIs to Prepare a Student for the NCLEX Exam? The ATI assessment tools can quickly identify the areas of strength and weakness for each nursing student. It helps students prepare for the NCLEX examination by first identifying the weak areas and providing content specific assistance before remediation is needed. In the event remediation is required, ATI assessment tools offer a broad range of materials that target students’ specific areas of need. Everything that ATI stands for is tied directly to the NCLEX. These assessment tools help to increase the pass rate on the NCLEX by identifying problems before intervention is necessary. ATI offers the Content Mastery Series that helps students target specific areas covered on the NCLEX exams. The programs are designed to help RNs and PNs meet success by offering targeted approaches to passing the NCLEX so that the assessment tools fit each individual student’s specific learning style. What is the ATI Comprehensive Predictor Exam? The ATI Comprehensive Predictor is a multiple-choice examination that nursing schools use to test students’ preparedness for NCLEX examinations. 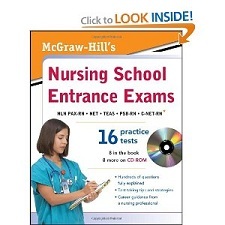 The examination is designed to identify the strengths and weaknesses of students in nursing school. The Comprehensive Predictor Exam identifies these strengths and weaknesses in specific testing areas and offers suggestions on areas that students should review before taking the NCLEX examinations. Many schools require that their nursing students pass this examination before they are granted the opportunity to graduate from nursing school and take the NCLEX. The ATI Comprehensive Predictor Examination helps students determine where they should focus their learning skills in order to pass the NCLEX. It also helps nursing school faculty members identify areas that need improvement in their nursing curriculum. Nursing school students who participate in this examination usually do better on their first administration of the NCLEX examinations than those who do not. The examination leans heavily on priority, management, and delegation in the nursing practice. It helps nursing students understand the rationale behind nursing concepts and provides productive practice that can help them pass the NCLEX. Level 1 – These students are expect to just meet the NCLEX standards, meet the minimum performance expectations, meet the minimum knowledge level, and demonstrate the minimum competency level required in nursing in the specific content area tested. Level 2 – It is almost certain that these students will meet the NCLEX standards, exceed the minimum performance expectations, exceed the minimum knowledge level, and demonstrate a satisfactory achievement level of competency required in nursing in the specific content area tested. Level 3 – It is likely that these students will exceed the NCLEX standards, exceed most performance expectations, demonstrate the highest knowledge level, and demonstrate a satisfactory achievement level of competency required in nursing in the specific content area tested. Those students who score below Proficiency Level 1 are encouraged to revisit the content areas, and develop and complete a plan of intensive review and remediation. ATI Testing provides students with the tools that they need to become licensed nurses. Passing the NCLEX examination is important. Nursing students and nurses can quickly identify their strengths and weaknesses in content areas so that they can increase their chances of passing the NCLEX. ATI is dedicated to making understanding nursing content a bit easier. High scores on ATI tests will likely mean success in the NCLEX.